A Pennsylvania farm boy in the 1870s was watching workers drill for oil on his family’s property. A drill bit fell into the well — usually this meant cutting one’s losses and starting again with a new piece, but the teenager designed a tool to retrieve the lost bit. It is an unremarkable story, except that it’s told in a publication of the Society of Thoracic Surgeons, and the boy who retrieved the small item trapped in the oil well was Chevalier Jackson, who would become one of the fathers of modern endoscopy. As well as inventing various types and accessories for esophagoscopes and bronchoscopes, and vigorously training doctors in their correct use, he refined the art of intubation and wrote and rewrote protocols on the use of each system. He was also a pioneer of shareware: he refused to patent any of his scopes or their accessories. More than 80 per cent of his patients were children — those most likely to swallow or inhale things they shouldn’t — and he treated many of them free. They were also the most likely to swallow lye, which was a common household product and which makes the throat swell, with often-tragic results. He successfully lobbied for danger labels on poisonous substances. Chevalier Jackson wasn’t just an inventor and pioneering doctor. He was a collector. Oddly, if I may use that word, Chevalier Jackson’s inhaled items collection is not the strangest thing you’ll find at the Mütter. The medical history museum hosts slides of Albert Einstein’s brain, casts of such once-mysterious “deformities” as conjoined twins Chang and Eng, skulls, and preserved fetuses in every stage of development. The small museum is fascinating. 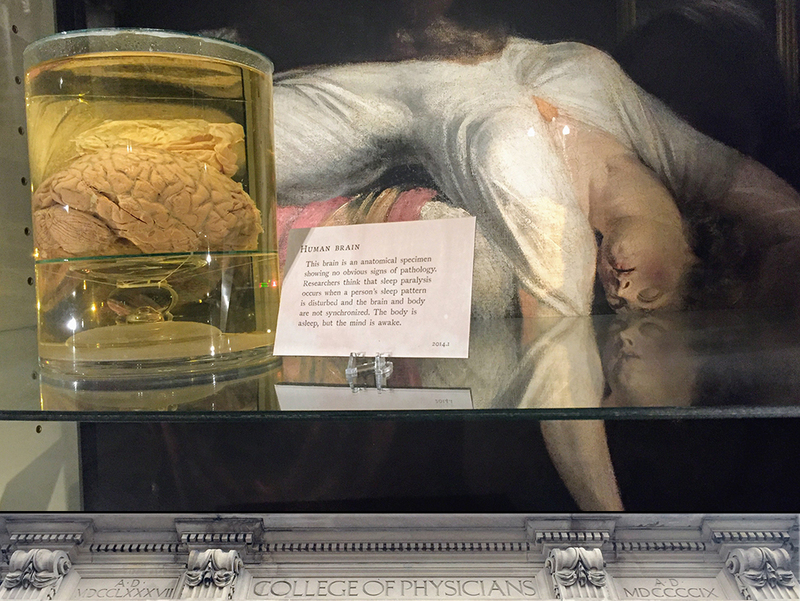 But it’s a lot to take — people not in the medical field aren’t used to seeing so many pieces of the human body on display, which is why I think I started to swoon and had to sit a moment with my head between my knees.